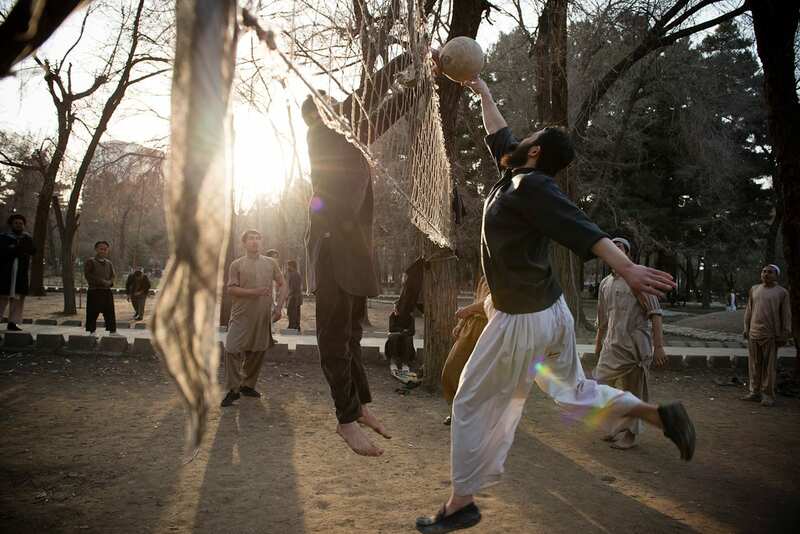 Kiana Hayeri, winner of the year’s Chris Hondros Fund award, on her exploration of the life and search for identity among the youth in Iran and Afghanistan. Largely unknown beyond photography circles, Hayeri is the new recipient of the revered photojournalism award, in memory of the late Chris Honduras, who died covering the war in Libya in 2011. Hayeri was born in Iran, but moved to Canada at the age of 17 without speaking a word of English. Initially finding it hard to settle into her new home in Toronto, Hayeri spent the next few years familiarising herself with the creative subjects and a new language. Inspired by the work of the Canadian photojournalist, Dominic Nahr, it was there that she first began to develop her photography skills, using her camera as a way to ‘bridge the gap’ between two very different cultures as a form of expression as well as communication. Nevertheless, Hayeri returned to her home in the Middle East, and began work on projects that focused on migration, youth and sexuality; issues, she says, that are close to her heart, particularly given her struggle with her own national identity. Perhaps conveniently, there were very few photojournalists covering Iran at the time, particularly those who had such close ties to its heritage. 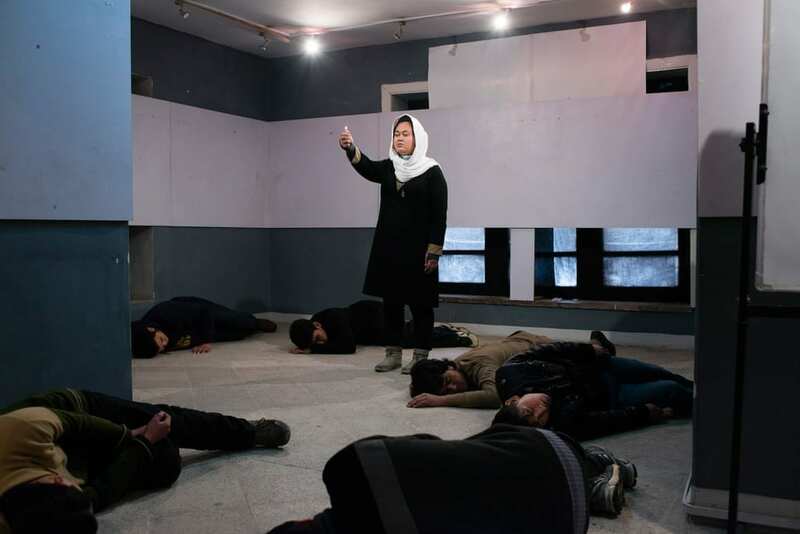 In 2014, the photojournalist moved to Afghanistan to begin the next chapter of her portfolio. Later that year, the US troops began to withdraw, together with the majority of journalists covering the area. Hayeri, however, felt an even greater urge to stay and immerse herself further into the community. “I move to countries to get the project done,” she says. “You need to gain the trust of your subjects, and also I like to understand them better. She has, however, faced a number of challenges. Working in Jalalabad in Eastern Afghanistan at the time of our interview, Hayeri must always be accompanied by a man if she wishes to shoot on the streets outside. Even in the capital, Kabul, where such restrictions are much more relaxed, some conservative attitudes refuse to accept her as a working female. 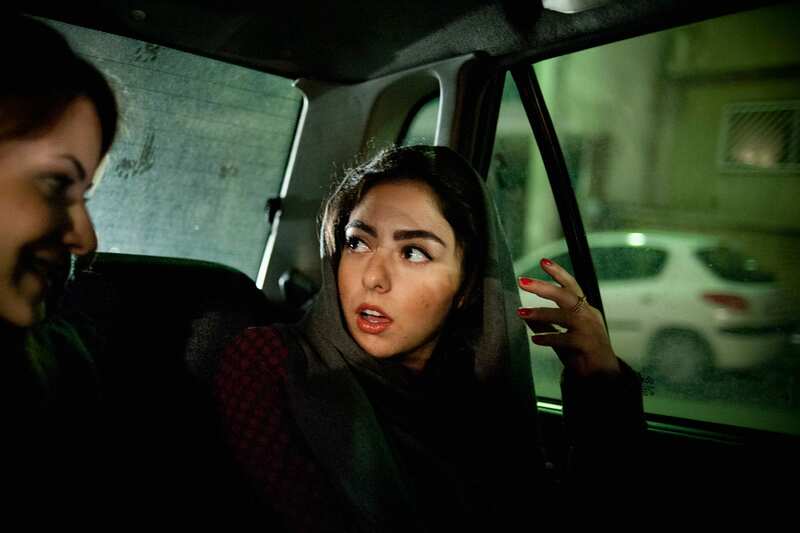 Her Iranian complexion and knowledge of the local language means she is often mistaken for an Afghan woman; a perception that, at times, can get her into trouble. But she remains unfased. “It’s ok. It’s just a part of it, you know?” she says. But being a female photojournalist in Afghanistan also boasts a number of advantages. Photographer Nicole Tung believes that a foreign woman is considered as the ‘third gender’. She is a figure who can get further than anyone, even in the most conservative and patriarchal societies. Hayeri, as a result, is seen as more trustworthy than men and is able to get access into the private homes of local families. In such private domestic environments, she has captured the hidden moments in young adolescent’s lives as they develop their expression of identity, as well as documenting events in their daily life. The day after our interview, she is going into people’s houses to photograph a day of Polio vaccinations for a new campaign. Hayeri has been going from strength to strength. Her work has appeared in a number of international publications including Le Monde, Der Spiegel, The Washington Post and Monocle. Aside from preparing to launch her new agency, Namara, with six other photojournalists, she is a TED fellow, has been selected for a fellowship with the International Women’s Media Foundation to report in Rwanda and the Democratic Republic of Congo, and is this year’s winner of the Chris Hondros Fund award in the Emerging Photographer category. The award, founded in memory of the well-respected photojournalist after his tragic death in a conflict zone, is a grant of $5,000 to be used for documentary projects. Hayeri will use the funding to support her new endeavour, where plans to spend time in France, Belgium and Germany to document the lives of young Syrian refugees. Rather than the migration journey, she wants to focus on what happens to young refugees once they arrive in on the continent. 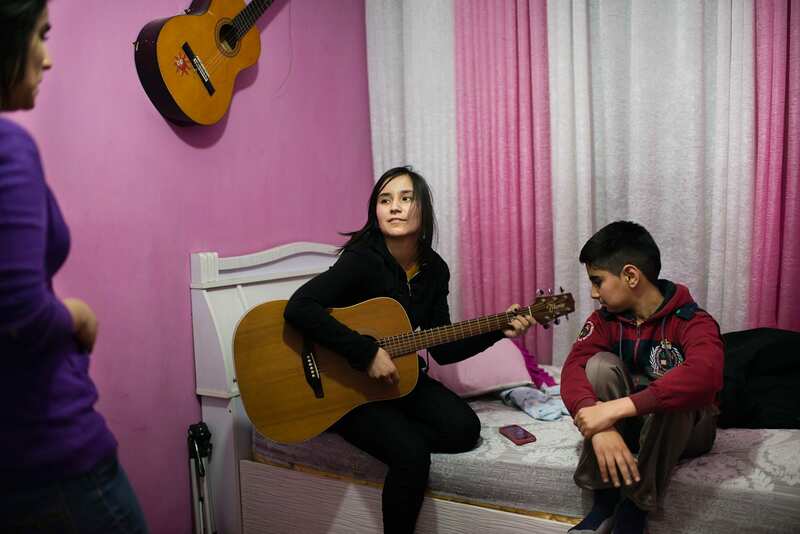 “I want to see how their culture is shaping up in Europe,” says the photographer. “It’s going to be part of the larger project (migration and adolescence), so visually and contextually there has to be a common going through all of [the photographs]. Mexican writer Fernando del Paso in recognition of a career spanning six decades. The family of journalist Steven Sotloff is suing Syria in US court, claiming the government of President Bashar al-Assad provided support to ISIS militants who carried out the beheading. Greek journalists have decided to extend its strike protesting the government-proposed pension reforms for four days more. ATHENS (Sputnik) — Greek journalists have decided to extend its strike protesting the government-proposed pension reforms till April 27, Greece’s Panhellenic Federation of Journalists’ Unions (POESY) said in a statement. Journalists walked out on a 48-hour strike at 6:00 a.m. (04:00 GMT) on Thursday to oppose reform designed to fulfill demands put forward by the country’s international lenders, stressing the need for urgent mobilization against encroachments on social welfare, pension rights and the defense of sectoral insurance funds. “The Boards of Directors of the Panhellenic Federation of Journalists’ Unions (POESY) and the Panhellenic Federation of Personnel in Press and Mass Media (POEPTYM)… decided to continue the strike in all media (brochures, newspapers, magazines, online media, broadcast media, public and private, the Secretariat General of Information and Communication — Secretariat General of Mass Media, the press agencies and ANA-MPA) from 6:00 a.m. on Sunday April 24 until 6:00 a.m. on Wednesday, April 27, when they will meet again to decide on further action,” the statement issued on Friday read. On April 21, Georgios Katrougalos, the Greek labor minister, said that Athens and its lenders “in principle” agreed on the reform’s components which means the package would be submitted to the local parliament in the coming days.The Greek economy has been severely strained for several years due to the country’s multibillion-euro debt, accumulated after the 2008 world financial crisis. Greece’s international creditors signed an agreement with Athens last summer, approving a third bailout package worth about 86 billion euros ($97.3 billion at the current exchange rates) in exchange for highly unpopular austerity reforms, including pension cuts and tax hikes. Sunday, a long-time Michiana broadcaster killed earlier this week, will be laid to rest. Denise Bohn-Stewart and her husband were found in their home earlier this week, in what police say was a murder-suicide. Bohn was a morning host on 98.3 The Coast, and a contributor to WSJM. She was previously a longtime reporter for WSBT. Sunday’s visitation happens at 2 p.m. at First Church of God in St. Joseph, Michigan. Her funeral will follow at the church at 6 p.m.
Palestinian journalist Omar Nazzal was arrested by the Israeli occupation forces (IOF) on Saturday at the ‘Al-Karamah’ crossing while travelling to Bosnia to attend a Conference. Nazzal, who is a member of the general assembly of MADA center, and a member of the General Secretariat of the Palestinian journalists syndicate, was accompanied with other Palestinian journalists, including the syndicate’s chairman Nasser Abu Baker. Abu Baker told PNN on Saturday that while he and all the other members of the syndicate were on their way to the European Journalist Conference in Bosnia, the Israeli authorities stopped them at the border with Jordan for more than four hours. After all the members were interrogated, the Israeli authorities arrested Omar. A Gambian journalist standing trial for sedition has escaped from a hospital where he was receiving treatment. Alagie Ceesay has reportedly been in police custody since June last year. He is charged with six counts of sedition and publication of false news with the intent to cause fear and alarm among the public. Ceesay a managing director of an independent radio station has been hospitalized a couple of times. 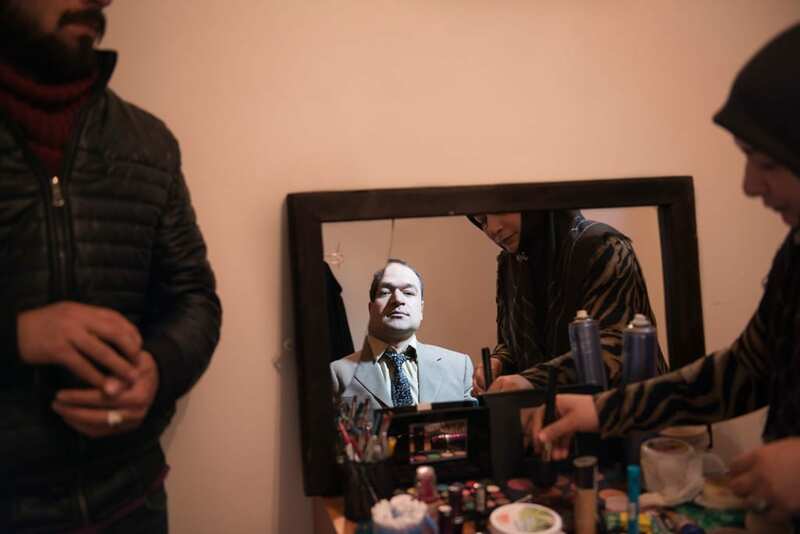 His request to be released on bail has been denied four times despite his health problems and demands from Human Rights Watch, Amnesty International and the Committee to Protect Journalists. Information about his escape became public when he failed to show up in court on Wednesday as expected. Ceesay was arrested on July 2 after he privately shared by phone a picture with a gun being pointed toward an image of President Yahya Jammeh. MOSCOW, April 23. /TASS/. Ukrainian border guards have denied access for Darya Grigorova, a reporter working for the Russian state-run television corporation VGTRK, after she had arrived in Kiev from Riga, she said on the Rossiya 24 channel on Saturday. By the time of reporting, the Russian journalist had received her passport back and now is awaiting a border control officer. This is far from the first situation of the kind involving Russian journalists in Ukraine. Thus, Maria Zakharova, the spokeswoman for Russia’s Foreign Ministry, told a briefing on April 21 that in the year 2015 seven Russian journalists were deported from Ukraine, accreditations to the state bodies were suspended for 115 Russian media and four Russian television channels were blacklisted. Police yesterday claimed that journalist Shafik Rehman disclosed the names of at least three more people involved in the alleged plot “to kidnap and kill Prime Minister Sheikh Hasina’s son Sajeeb Wazed Joy”. “He [Shafik Rehman] revealed the names of at least three people. We are verifying the information. They will be arrested if we find evidence against them,” Monirul Islam, additional commissioner of the Dhaka Metropolitan Police, told reporters in city’s DMP media centre. He did not name any of the trio but claimed that they were Bangladeshis and had links with BNP politics. Some of them live in Bangladesh and some abroad, he said. Shafik, who is now on a five-day remand in the second phase, also gave police vital information about the source of money which had been sent to the US for gathering information on Joy, police claimed. “Shafik Rehman told us that $30,000 was paid for getting documents [with information on Joy],” Monirul said, adding that $10,000 was sent on behalf of the journalist. Replying to a query, the police official said if allowed, they would interrogate daily Amar Desh Editor Mahmudur Rahman separately first. Recently, police have appealed to a Dhaka court for showing Mahmudur arrested in the case filed over the alleged plot. The court is to hold a hearing on the matter today. Mahmudur, a pro-BNP journalist, has been behind bars since April 2013. On April 16 this year, plainclothes detectives arrested Shafik Rehman at his Eskaton Garden Road house in the capital. The same day, he was placed on a five-day remand in the case. Later, police claimed that the veteran journalist admitted having more than one meeting with those in the US allegedly involved in the plot to abduct and kill Joy, who lives in the US. On Friday, a Dhaka court placed Shafik Rehman on a fresh five-day remand. Police have also claimed that Shafik Rehman admitted meeting four people, including three convicted by a US court over bribing an FBI special agent to collect confidential information. The three are US-Bangladesh citizen Rizve Ahmed Caesar, former FBI special agent Robert Lustyik and his “contact” Johannes Thaler. Taleya Rehman, Shafik Rehman’s wife, denied the allegations against her husband. According to the case statement, Caesar’s father Mamun and some top leaders of the BNP and its allies met in the UK, the US and various places of Bangladesh before September 2012 and conspired to abduct and kill the PM’s son. In March last year, Caesar was convicted by a US court for bribing an FBI special agent to collect information regarding a Bangladeshi political figure. The US Justice Department did not name the figure, but it is believed to be Joy. In a Facebook post on March 9 last year, Joy, also ICT affairs adviser to the prime minister, accused BNP leaders of conspiring to abduct and kill him. Shafik Rehman, who also holds British citizenship, worked in various media outlets, including the BBC, but came in the limelight after becoming editor of the weekly Jaijaidin in the 1980s. Turkey has arrested a Dutch journalist who criticised President Erdogan on Twitter, in the latest assault on free speech. Ebru Umar, a columnist at Metro newspaper, said she was detained after calling the Turkish leader a “fraud” and referring to Turkey as “Erdoganistan”. “Ok, police at my door for the timeline. No joke,” she wrote on Twitter, adding she was being taken to a police station in Kusadasi.